The “Iceman” version of doing the can-can. Okay, lousy pun perhaps. Fortunately for repeater owners, I’m much better at duplexer work than I am at being a stand-up comedian. One of the things I enjoy doing the most is repairing and reconditioning duplexers and cavities. 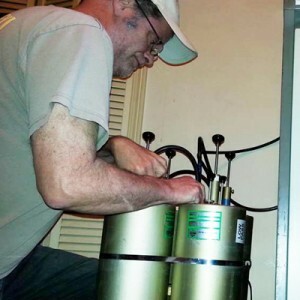 Many repeater owners and clubs are using duplexers and filters that have aged considerably. The common assumption is that once a set of duplexers have been tuned and put into service you can just forget about them and let them run without ever really thinking about them again. However, over time, the tuning plungers, fingerstocks, and other components inside the cavities oxidize. 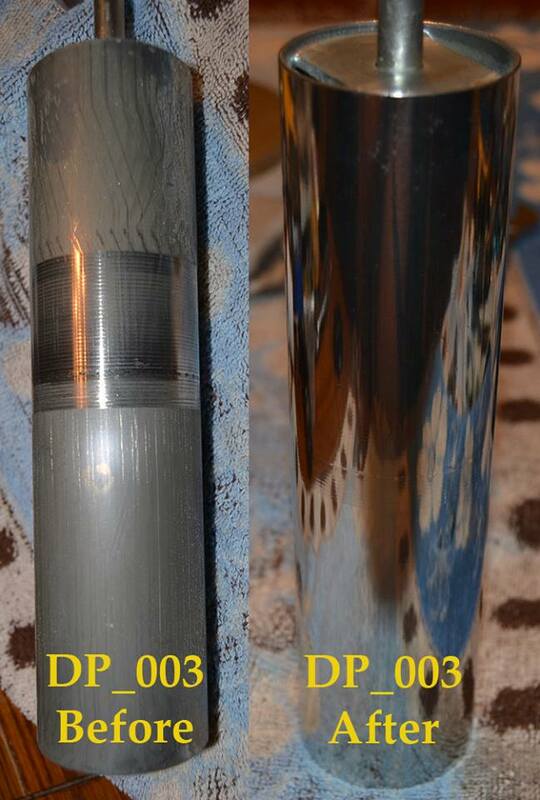 Also, components such as air trimmer capacitors deteriorate — and often fail — due to the cumulative effects of heat generated by the high levels of RF energy from transmitters. Lightning strikes can also cause the loop and tuning assemblies of duplexers to fail or perform below specifications. Duplexer being tested after refurbishing and the addition of two more cavities to create a six-cavity set. 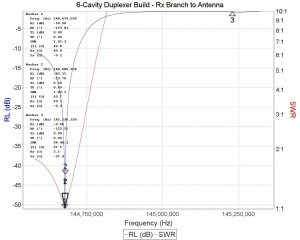 Repeaters running more than about 40 watts commonly require higher pass/reject specs than the typical four-cavity duplexer can provide at the narrow 600 KHz Tx/Rx spacing used for 2-meter ham radio repeaters. Used duplexers acquired after being removed from commercial and public safety/government systems were commonly engineered and sold with 1.5 MHz spacing, so they don’t perform nearly as well when pressed into ham radio service. This is especially true in the case of the newest repeaters using digital signaling formats, such as D-Star and C4FM. Trying to “get by” with sub-par duplexers often have repeater owners chasing their tails and frustrated. Some repeater owners attempt to tune their duplexers using the simple method of hooking a couple of radios to their duplexer, using one to transmit and one to receive, and simply tuning for the highest s-meter reading on the receiver for the pass frequency and the lowest s-meter reading for the notch frequency. 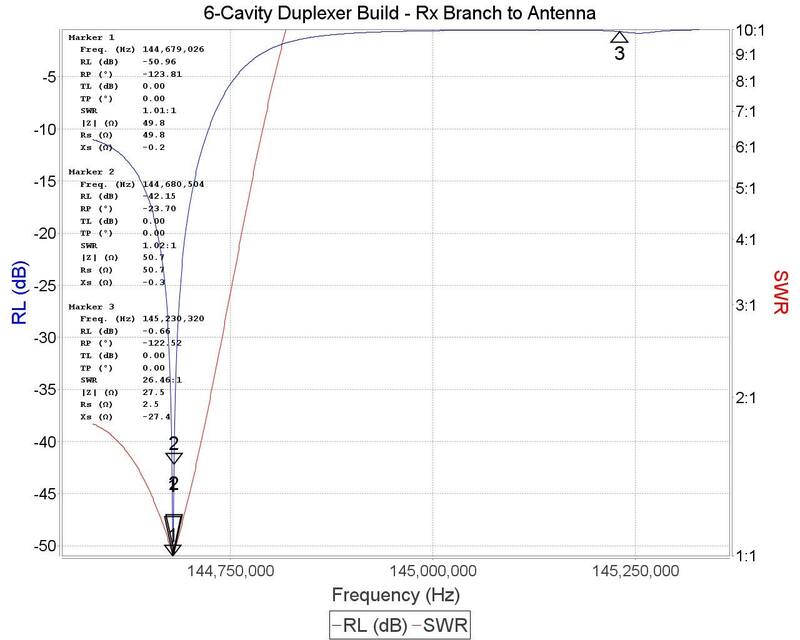 While this seems to work okay in some cases, it can be deceptive, as many radios automatically decrease their power output when they sense high SWR — exactly what a duplexer cavity presents at and near the desired reject frequency. 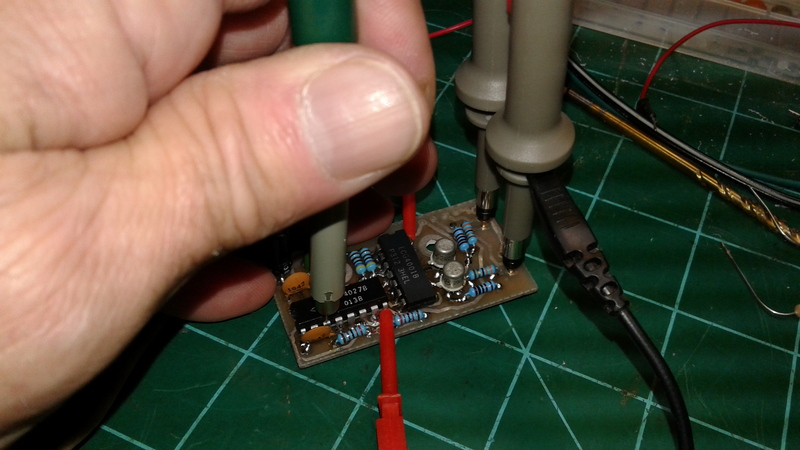 This reduction in power output can easily deceive the person attempting to tune a duplexer by this quick-and-dirty method into thinking they have the notch tuned properly, but in reality they are just “in the neighborhood” of the right frequency. Also, typical SWR meters — although fine for checking SWR and usable bandwidth of antennas — do not provide anywhere near the precision that is required for exact pass and reject tuning of duplexers. VNA analysis of the three combined cavities in the low-pass branch of a six-cavity duplexer I built by adding two cavities to a four-cavity set. Return loss (i.e., SWR very precisely measured) was outstanding after refurbishing all six cavities and building the duplexer. In fact, it far outperformed factory specifications for a six-cavity set of either of the two brands/models of cavities used to build the set. To truly get the best performance out of a repeater setup and eliminate de-sensing, each cavity needs to be tuned with very high precision. Then each branch fine-tuned, followed by the duplexer assembly as a whole. Most hams and clubs don’t own the expensive equipment required to perform such work. I feel very fortunate to have been able to acquire the equipment and tools over the years that is needed to provide highly accurate duplexer tuning. 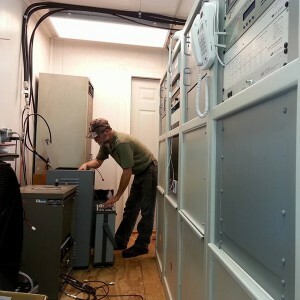 I provide this service — along with a variety of duplexer services ranging from simple repairs to complete refurbishing — in order to help folks get the most they can from their repeaters. Major duplexer and cavity repairs are handled in my shop, while some repairs can be performed in the field, at the repeater site. Tuning is best done on-site because the tuning can very easily get messed up by the process of moving the cavities between locations, and temperature changes will cause the metals from which the cavities and internal components are made to expand and contract, shifting the tuning — often to such an extent that the duplexer is totally unusable when it’s taken back to the repeater site and hooked up. Thus I prefer to tune duplexers and filters on-site; however, I will and do tune them here in the shop if that’s preferred by a service client. Installing and performing final tuning and testing of a six-cavity set of duplexers for KE4COL. Many duplexers in use by hams and amateur radio clubs are re-purposed duplexers which were previously taken out of service in public safety and commercial communications systems. 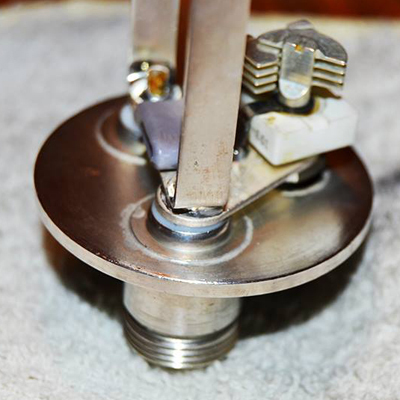 It is not uncommon for these to need modifications in order to shift their operating frequency ranges to the amateur radio bands. Moreover, it’s not uncommon to find out or detect that they were taken out of service because they had failed — there’s usually a reason they aren’t still in service. Big businesses and governmental agencies commonly have the budget to just replace them, or they’ll snag some grant money for the purchase of new ones. It’s rare to find duplexers that were removed from service that can’t be refurbished to provide many more years of reliable service. 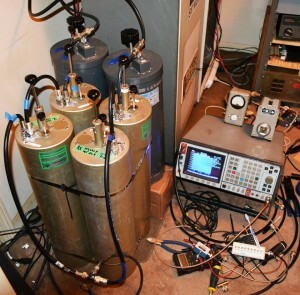 During overhaul and conversion, their “loops” must sometimes be replaced or modified, capacitors changed, or other modifications made in order to get the best ham radio performance out the cavities. In the photos on this page you can see some loops I recently manufactured in-house in order to convert a set of duplexers from operation on 150-174 MHz to 144-154 MHz so that they would be capable of pass and rejection performance at or above factory specifications in the ham bands. Before and after photos of a cavity tuning plunger which had seriously oxidized after being in service for about 25 years. The difference after cleaning and polishing is not merely cosmetic — the cavity performs better than factory specs and now has many years added to its useful life. 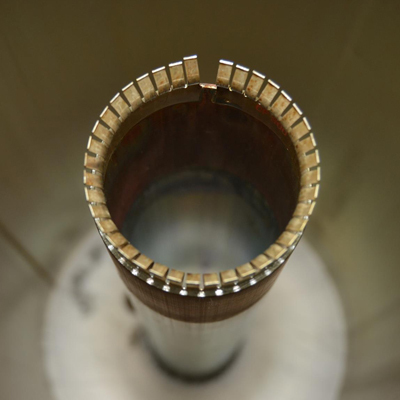 When I test, tune, and repair duplexer and filter cavities, I assign each cavity a “service record number,” and maintain records of how that cavity — and the entire duplexer assembly — is performing. Return loss and transmission loss plots are generated for the client showing the performance of the cavities and duplexer. These records are kept on file at my shop so that they can be recalled later for comparison in the event that the performance of a repeater system seems to be declining and we need to know if the duplexer/filters are “going downhill” with time. It’s virtually impossible for a repeater owner to detect small, insidious declines in performance over time. Parameters such as return loss (which equates to SWR) and transmission loss (rejection characteristics) are essentially undetectable using a couple of radios or even and SWR meter. Using specialized equipment such as a communications systems analyzer, return loss bridges, precision attenuators, a VNA (Virtual Network Analyzer) I can measure and track these gradual declines in such a way thay it’s possible to know when it’s time to overhaul (or, in some cases, replace) a cavity or entire duplexer before the repeater experiences complete failure as a result of cavity and component degradation. I respectfully ask that duplexer/filter/cavity owners please do not remove the service and tracking labels I put on the individual cavities. These labels are critical to the tracking and recording of cavity performance, plus they have my phone number on them so you can reach me quickly if you go to your site and find a problem you need my help. 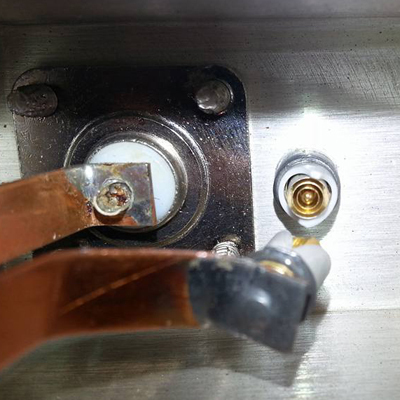 A cracked ceramic encased trimmer capacitor caused this duplexer assembly to be removed from service and replaced. After decades of continuous RF heat, the capacitor just couldn’t handle it anymore. This cavity and its three companions are now back in service and actually in better shape than they were the day they left the factory. At times — although not always — I have “loaner” or “trade-out” duplexers available. This is purely on an as-available basis, but can be a quick way for a repeater operator to get their system up and operating quickly while I troubleshoot and repair their duplexer. In some cases I’ll simply take their failed duplexer as a trade-in for a refurbished duplexer, which is a cost-effective and quick way for them to get their repeater back online so that they and others can enjoy it and they don’t have to be worried with the delays that could occur when specialized parts or needed or the uncertainties regarding what the final repair expense will be. Repairs and tuning services are available on an hourly basis. Repairs in my shop are billed at a lower hourly rate, since I don’t have to haul a lot of heavy, delicate, expensive equipment around. However, on-site services are billed at reasonable prices. 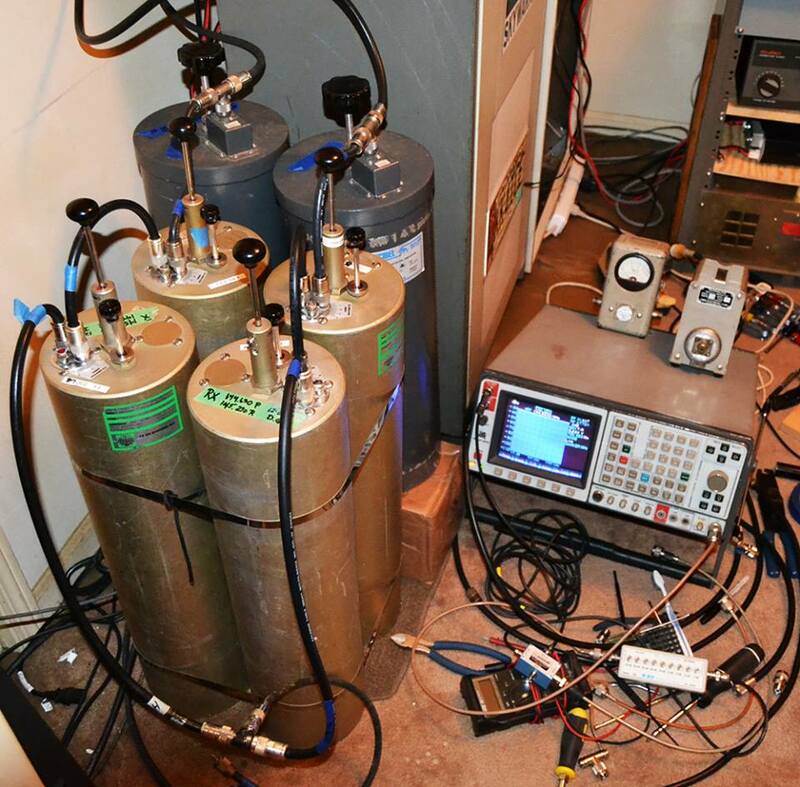 I discount my services for repeater owners and ham radio clubs/groups because I’m a repeater owner/operator myself and I know first-hand that although operating a repeater is largely a labor of love it’s also a serious expense if done right. Still, I have to keep the bills paid and the tools to do this work right cost a lot to purchase and keep maintained. If they didn’t, every repeater owner would have them. That’s simply not a luxury the average repeater owner can justify. Custom made loops which were fabricated in-house in order to convert a set of duplexer cavities to amateur radio use. Even when I repair/overhaul duplexers and cavities in my shop, I still prefer — and highly recommend — that the final tuning and testing be done on-site. That’s the only way to make certain that the system is operating at its best. I also prefer not to ship or mail duplexers after fine-tuning and/or repairs because there’s no way of predicting or knowing how gently or roughly the items have been handled in transit unless you do it yourself, and the temperature changes and extremes involved in equipment being moved between vehicles, buildings, shipping terminals, etc. can be wild and totally throw a duplexer or filter so far off-tuning that it becomes junk until the tuning is done all over again. At least if you bring them to me yourself and pick them up yourself and do all the transporting, you have some element of control over how roughly they are being handled. Still, I can’t guarantee performance of duplexers/filters when they are taken back and put into service without the final testing and tuning being done on-site. If I do it on-site and tell you “They’re good to go” then you can sleep knowing the suckers are truly good to go… unless you’re like me and find yourself awake all night having fun QSO’s and rag-chewing on your repeater because it’s working great again. Yeah, we repeater operators take pride in getting the most from our systems and watching (or hearing) others enjoy our repeaters. 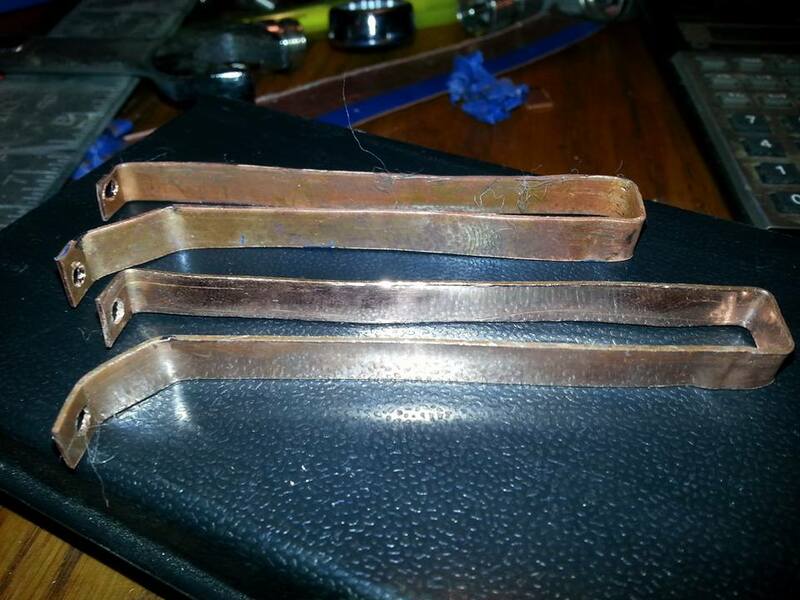 The loop, plate base, and open-plate air trimmer capacitor had slowly oxidized over time on this loop plate assembly. The plate is made from a different metal than the cavity cylinder. When two different metals have to come into contact, it accelerates the oxidation process, which can lead to poor conductance between the plate and the cavity, declining performance and possibly damage to the transmit radio and its final PA.
For critical systems such as repeaters used for SKYWARN or other emergency nets, I can provide maintenance agreements so that repeater owners and clubs can budget their duplexer maintenance expenses. Such maintenance agreements include scheduled, periodic performance testing and tracking of duplexer performance with records kept on file. Routine testing and preventive maintenance can prevent unexpected repeater failures (and possible damage to expensive transmitters and receivers) and the high costs frequently encountered when they occur. This fingerstock assembly was not only very dirty, but one of the fingers was apparently broken off during manufacturing. Upon very careful inspection of the inside of the cavity — which had never been done since the duplexer was manufactured, this little piece of metal was not to be found anywhere inside the cavity or tuning cylinder. Poor manufacturing and quality control in my book, but I guess they figured the purchaser and installer would never open the cavities to actually service and refurbish them, so who’s to know, right? You would think that a set of duplexers that sell for over $3,000 would be manufactured to much higher standards. For a quote on my services or to schedule tuning, testing, repairs, or maintenance, call me at (334) 444-6796, or email me at kk4ice@kk4ice.com. Whether you need the best tuning services available in the area, troubleshooting and repairs, or if you’re looking to purchase a set of refurbished and tested duplexers for your repeater, I’ll be delighted to assist you in any way I can. To public safety, governmental, and commercial system owners: have a fantastic day! To radio shop owners: I’m glad to be here to help you serve your customers in a timely, professional manner.